At Scranton MMA we strive to provide the absolute best to all of our clients. That is why Scranton Mixed Martial Arts is so different when compared to other gyms in the area. We want to offer up the very best for anyone who wants to learn martial arts in the Scranton / NEPA area. That is why we have the absolute best training facility in the area and continually work on improving it. That is why we have the absolute best instructors in the area why all of our instructors in the area constantly seek to improve on their abilities. And that is why we were so excited when we found out that all of the Grappling instructors from Scranton Mixed Martial Arts were invited to an instructor only course that is being taught by Phil Migliarese of Balance Studios in Philadelphia, PA. Phil is the head Gracie Jiu Jitsu Instructor and has been training with the Gracie family before the UFC was created! Phil Has a long history of training and friendship with the founding members of Scranton Mixed Martial Arts. When he announced his course we jumped at the opportunity to get on the mat and learn from him. We have had Phil and his brother ‘Ricky’ in for numerous seminars over the years and we are always amazed with their ability to teach Gracie Jiu Jitsu. Apparently learning directly from the creator of the art pays off! This seminar will be a bit different Phil is going to teach us some of the very same things he learned from Helio, Relson, Royce and Rorion Gracie during his training at the Gracie Academy which lasted over 10 years! This training is very important for everyone at Scranton MMA because everyone will benefit. Our advanced students will be able to reach new heights and improve to the very highest levels, our beginners will be able to grasp the basics even faster and have a better foundation that they can build upon and our kids will be learning the absolute very best techniques and they will be taught them in the most efficient and effective manner. Again this is just one of the MANY differences between Scranton Mixed Martial Arts and other Martial arts schools in the area. We are still improving, we invest in our instructors to provide them with the absolute best training and education in their disciplines. And this is one of the many reasons people will choose us when they want to learn self defense, get in shape or take up a new hobby. 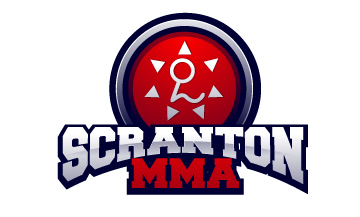 If you are reading this and you are not sure if Scranton MMA is right for you please take advantage of our 100% risk free offer and give it a shot!